It is no secret that new born babies have very narrow nasal space and they sometimes get a little stuffy. This may cause sufficient discomfort to babies if it is not dealt with. So you must make sure that your baby has a clean nose at all times to make sure he or she gets good sleep at night, doing this will also eliminate the chance of getting further infections. Here are some tips that that will inform you how to clean baby nose without aspirator, these tips are also approved by the doctors all over the world. You must remember that cleaning a baby’s nose takes a lot of patience and you must not rush the process at all. • Introduce steam in the bathroom: Let some searing hot water into the bathing tub and let the washroom fill up with steam. Bring your baby and sit in the bathroom for a while. This will surely help to dissolve the mucus quite a bit. If you want to learn more about clean baby, then you can read this. 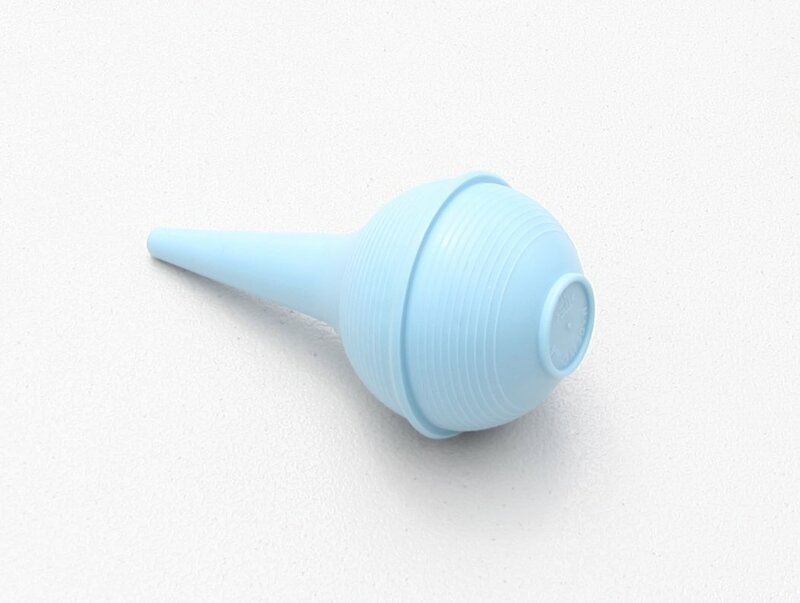 • Use a nasal spray with saline content in it: This is a very safe product to use with toddlers, infants and babies. All you have to do is make sure you get the baby to lie down and tilt the head a bit. Put 3 drops of the spray in his nose. This really helps in getting rid of the congestion. • Use a humidifier: A lot of parents do not know that dry air can lead to congestion of the nasal area for babies. So try using a humidifier that gives out cold air. • Elevate the baby’s head: Doctors have suggested that babies can breathe well. So try raising area where the baby has placed his head. • Slightly wet cotton ball: If you notice that the baby has a crust near the nose or a general runny nose, then simple use a wet cotton ball get rid of any crust or mucus. But make sure that you wet the cotton with warm water. This will get did of any discomfort. Use gentle movements to wipe the nose do apply too much pressure as it may hurt the baby. • Cleaning while bathing: Sometimes baby’s do not like it when their noses are being cleaned so to keep them distracted you could do it while your child is bathing. 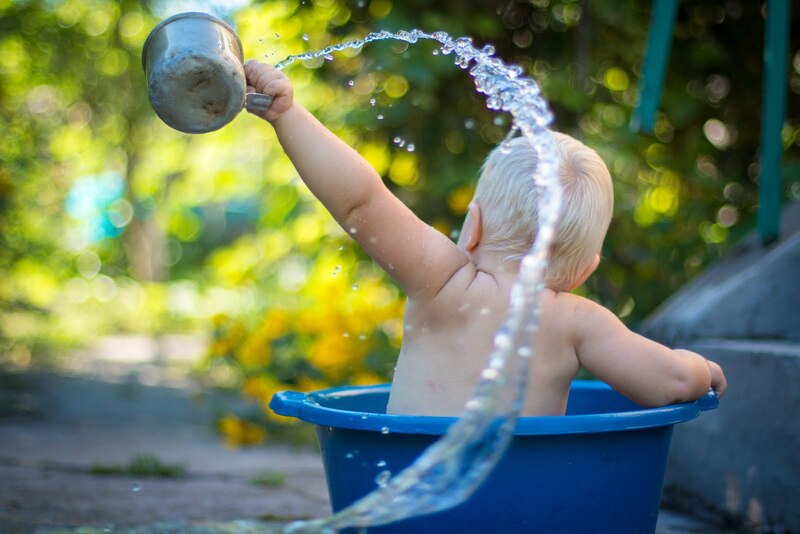 Babies love playing in the water and it is a good way of keeping them distracted while you clean his or her nose. However do not use too much of force. that the protectant you use is made specifically for babies. Consider using a lip balm or any petroleum product to treat the chapped skin. Sometimes the mucus cab get very thick and you can utilize salt water to thin it out a bit. Salt water is very helpful to clear the nose and remove all of the mucus. However you must make sure that this can only be done four times within 24 hours. Here is how you prepare the saline. How Often Should You Clean The Nose? Is It Safe To Clean Your Baby’s Nose During Bathing? There is no doubt that it is safe to clean your baby’s nose but you should be gentle about it. Do not insert anything inside the nose as it may cause damage to the nostril’s lining. Just use tissues or wet cotton balls to clean the nose area. Also do not use any cleaning products that have strong chemicals odor in them as it may cause a lot of damage. So, these are all the facts you need to know about how to clean baby nose without aspirator. Do not rush the process of cleaning and you must always consult a doctor on the various methods. While cleaning the nose make sure you keep the baby distracted with a toy and he or she must be in a comfortable position while the cleaning is done. If you notice that your baby is being cranky wait for him or her to calm down and then resume again. It is also good if you wait for your baby to fall asleep and then you could begin cleaning the nose. Do not use too much pressure on the nose as it may hurt the baby, take things nice and slow and you will not face any problems. In fact your baby will feel looked after and will develop a nice bond with you. 1 comments on "Tips On How To Clean Baby Nose Without Aspirator"